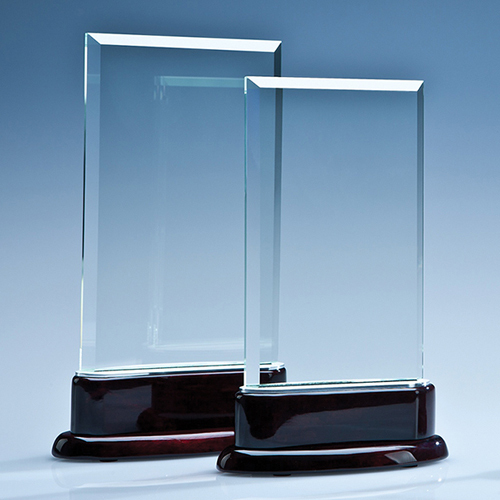 Simple yet very stylish, this elegant award perfectly combines 3 different materials. The 16.5cm crystal rectangle is bonded onto a brushed aluminium section and mounted onto a rosewood piano finish wood base. The rectangle has a large engraving area that can be personalised with any crest, logo or wording to create an award that is sure to take pride of place when put on display at home or at work.